If one looks at history, there has often been sufficient science to justify precautionary actions to reduce or eliminate harm from hazardous agents, decades before effective regulatory actions were eventually taken. Similarly, the histories of well-known technologies, such as X rays, fishing techniques, fossil fuels, and nuclear power, provide lessons for prudent actions on the potential hazards of emerging technologies, such as from nanotechnology, GMO food, radio-frequency from mobile phones, and the new generation of nuclear plants. In this lecture, Dr David Gee analysed the societal barriers to getting knowledge into action. He also illustrated some ways and means by which science and precautionary measures could be designed and implemented, in order to shorten the time between the first plausible scientific evidence of harm and the first effective initiatives on reducing hazards and risks. David has worked for over three decades on occupational and environmental risk reduction with UK Trade Unions (AUEW, TUC & GMB); with the Environmental group, Friends of the Earth; and as a consultant. From December 1995 to May 2012, he worked for the European Environment Agency, where he was responsible for ‘Science, Policy, and Emerging Issues’. He is currently finalising volume 2, “Late Lessons from Early warnings: Science, Innovation, Precaution” (EEA, 2013). 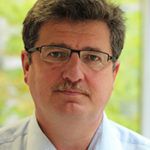 Since 1986, David has been a Fellow of Collegium Ramazzini, and, in 2010, he helped found the European Network of Scientists for Social and Environmental Responsibility.